University of Newcastle Senior Deputy Vice Chancellor and Vice President - Global Engagement and Partnerships, Professor Kevin Hall, said the diverse range of successful projects reflected the exciting breadth of global issues University of Newcastle researchers were working to solve. “We are incredibly proud of our hard-working researchers and we thank the ARC for recognising their potential. This funding enables us to continue to drive some very promising, high impact research that will contribute to Australia’s national interest and beyond," Professor Hall said. 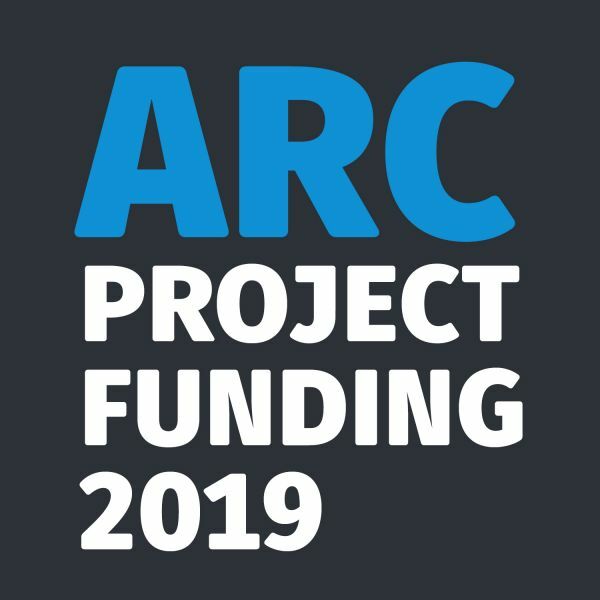 Under the Discovery Projects scheme, the University of Newcastle placed within the top 10 Australian universities both in number of projects funded and total funding value. $472,000 to Associate Professor Mark Baker to understand the genetic causes that underpin bull and cattle infertility and investigate better methods to predict the fertility status of bulls. $370,000 to Professor Olivier Buzzi for solving the scale effect for rock discontinuities. Failure of rock slopes or rock cliffs can have disastrous consequences for human life, infrastructure and the economy. Developing a design methodology that addresses the scale effect for rock slope stability will provide safer civil environments and will allow optimal resource extraction. $550,000 to Professor Lyazid Djenidi to generate new knowledge to understand whether turbulent flows over rough surfaces can be controlled or managed to achieve outcomes such as reducing the drag of a roughened bluff body, for example a ship’s hull that is roughened by fouling. $197,433 to Dr David Farrugia to investigate how young people working in the hospitality industry contribute to the creation of economic value. The project aims to inform current social and political debate about working conditions, wages and penalty rates in the service economy. $441,000 to Conjoint Professor Phil Hansbro to lead to new and more effective ways to control inflammation that will have significant benefits to mammalian health and improve health care and agriculture outcomes. $484,000 to Associate Professor Mark Harvey to investigate how listeners use cues from the way speech sounds are produced to break the speech stream into individual, recognisable words. Outcomes will include advances in theories of speech processing, informing the development of speech processing systems, and contributions to Indigenous cultural maintenance. $168,000 to Associate Professor Jinsong Huang to develop new methods and software for use in site characterisation – the process of developing an understanding of the geologic, hydrologic and engineering properties of a site. The project aims to advance knowledge within the industry and to help engineers better manage risk and uncertainties. $540,000 to Professor Graeme Jameson to provide a new method of predicting the recovery of valuable metals such as copper, gold and lithium from minerals using his highly celebrated ‘flotation’ process. $505,000 to Professor George Kuczera to provide critical new information for the improved prediction of wetland evolution and their associated management. $502,000 to Professor Rick Middleton to develop advanced digital control techniques to address security, resilience and robustness in complex networks and deliver fundamental advances in the technology for secure and reliable networks. $255,000 to Dr Galina Mirzaeva to create a new concept design of an internal aircraft electrical system and its control, which minimises the issues of traditional power systems and takes advantage of contemporary control and technology advances to minimise weight/volume and maximise reliability. $395,000 to Professor Brett Neilan for the development of new ultraviolet radiation filters that are safe for use across a variety of health and industrial applications. $420,000 to Dr Lawrence Ong to future-proof secure communication systems against large-scale quantum computers, which threaten current encryption approaches. The project aims to ensure that data transmitted over communication networks can never be revealed to hackers, even in public WiFi. $320,000 to Dr Klaus Theoni for a new framework for large-scale dynamic geotechnical simulations. This project aims to develop an accurate and efficient simulation framework that allows the consideration of realistic discrete behaviour in geomechanical models without the computational overheads of current models. The outcomes will lead to safer and more economic construction methods and a more accurate assessment of the environmental effects. $542,000 to Dr Amy Waller to provide a model of community action to build capacity and collaboration across social services and improve the wellbeing of older people. $533,038 to Professor Erica Wanless to enable us to understand and control the influence of specific ions, building on our recently described fundamental ion-specific series with colloid science experiments and quantum simulations. $390,000 to Associate Professor Kenneth Williams to focus on developing innovative and economic transport systems for the burgeoning global biomass sector. The research will develop cutting-edge technology in the use of smart particle systems to understand the biomass transport physics, from which energy efficient pneumatic transport systems can be designed. $342,338 to Dr Melissa Harris for contraceptive choice for women with chronic disease, reducing high-risk unintended pregnancies and developing a tailored educational app to support women to make contraceptive choices and establish a reproductive life plan. $408,000 to Dr Siddulu Naidu Talapaneni for the capture of carbon dioxide and its conversion into clean fuels, helping to address clean energy generation and benefit manufacturing industries in reducing the emission of carbon dioxide to the environment. $496,166 to Dr Dane Lamb, to directly improve our ability to assess risks associated with environmental contamination. $420,000 to Emeritus Professor Hugh Craig for a time-layered cultural map of Australia. The time-layered cultural map (TLCMap) of Australia is an online research platform that will deliver researcher-driven national-scale infrastructure for the humanities, focused on mapping, time series, and data integration. For researchers, it will transform access to data and to visualisation tools and open new perspectives on Australian culture and history. For the public, it will enable increased accessibility to historical and cultural data through visualisations made available online and in print.